High school can be rough. It is a time where most are still trying to figure out who they are and what they want to do with their lives. A time where raging hormones may affect your ability to think critically, resulting in some cringe worthy decision-making. 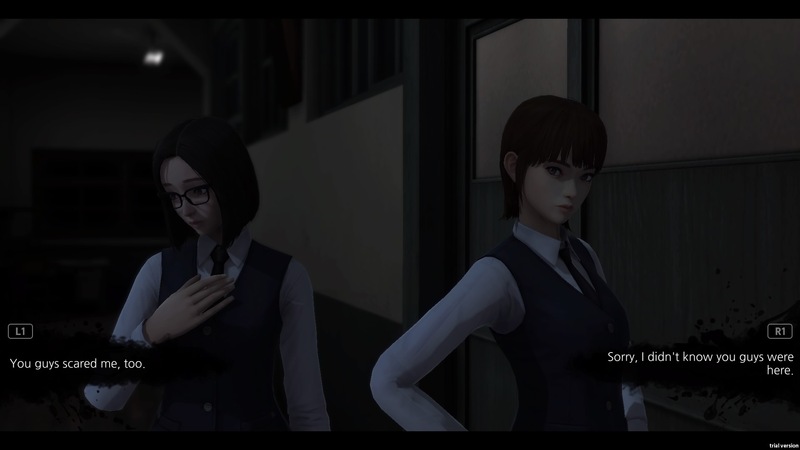 White Day: A Labyrinth Named School, a remake of the 2001 Korean cult horror game attempts to answer the question. Should you attempt to break into school after dark and deliver chocolates to your crushes’ desk? Probably not, is the answer I would go with! Hee-Min Lee is the new kid at Yeondu High School. Despite it appearing like he has never actually spoken to his crush, he is determined to make the grand gesture of giving her chocolates for White Day. ‘White Day’ is essentially a day where boys buy chocolates for girls they like or have previously received chocolates from on Valentine’s day. So, armed with chocolates in hand and the diary she accidentally left behind on a bench, Hee-Min sneaks into the school late at night to leave the diary and candy on her desk. Upon entering the school however, things quickly go awry. Witnessing the brutal execution of a fellow student by the school janitor, Hee-Min and the unlucky handful of female students trapped inside the school with him must survive the horrors that Yeondu has in wait for them. 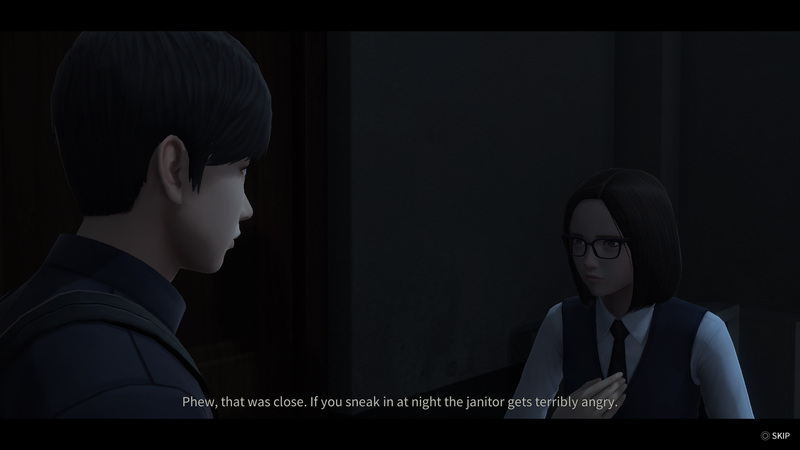 At its core, White Day is essentially a stealth game with puzzles. Hee-Min is defenceless against the bat wielding janitors, so must sneak around while working out where to go next. 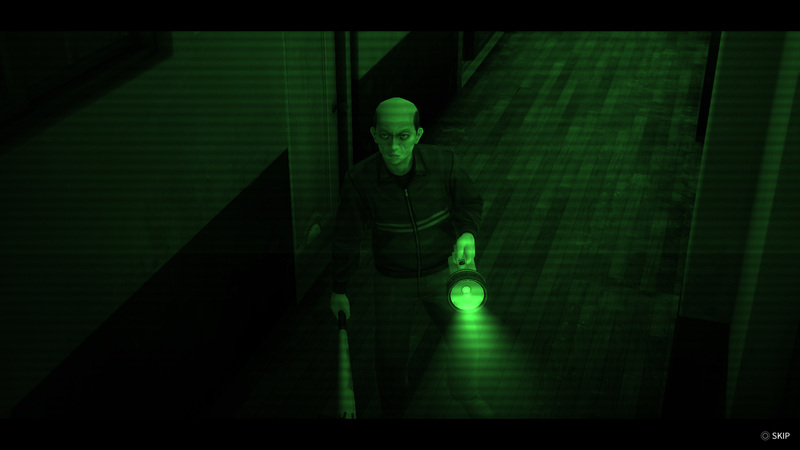 The janitor is constantly patrolling the halls, and is alerted by any odd behaviour such as open doors, lights being turned on, loud footsteps or being seen. Although he has a bad leg, he has no issue keeping up with Hee-Min, so confrontation should be avoided as much as possible. The hallmark of a good horror game is the ability to evoke tension at the right points. Although the janitor is not exactly a frightening figure, the fear comes from the fact he is always close by and that one mistake can be quite costly. As the janitor can see light sources, you end up hiding in the corner in the dark hoping that the door to the room you are in does not burst open. The sound design is also great in really messing with the player. From the jingling sounds the janitor’s keys makes when he walks, to the tense rising strings as he nears your location, to the unease you feel as your footsteps boom down a dark empty corridor, knowing that it’s a little too quiet. You never feel entirely safe, even when you know that your enemy is not around. White Day has some quality of life improvements over the original. However, it is rooted firmly in the old school mechanics of horror game past, for better and worse. Like the ink ribbon system in classic Resident Evil games, you can only save the game at notice boards throughout the school, which rely on felt tip pens you find. The puzzles in the game are not too difficult, but sometimes it can be a bit confusing as to where to go next. There were a few instances where I found myself circling previously explored locations, looking for a document I missed because it would trigger the appearance of an item that I needed to progress. This can go from stressful to tedious when you constantly have a foe ambling around. The difficulties below normal have text messages that gently guide you in the right direction to avoid these scenarios. Although the documents in the game are interesting, and really add to the atmosphere, the interactions with the female characters in the game falls flat. The voice acting is not great and a lot of the conversation options do not seem to fit the scenarios they happen in. I.e. a girl who rescues you from a janitor chasing you with a baseball bat, gets very upset that you insinuate that said janitor seems a little crazy. Exclaiming that he’s nice during the day in indignation. These innocuous and ill flowing conversations also influence one of the many endings that you will get. So, one comment may just cost you the ending you were going for. The character models in these cut-scenes, while not the greatest looking, can be very expressive and each character moves and poses differently giving a bit more life to the cut-scene. Although White Day is not terribly long, your first run-through will probably take 6-8 hours. The ghost stories and collectables that you can find throughout the school really add to the backstory of the game, and give extra scenes and insight into what has happened throughout the school’s history. Also, playing on harder difficulties will bring extra supernatural enemies into the fray that you cannot encounter otherwise. With its multiple endings, and new added content, this revamped version of an entertaining yet flawed game may bring you many hours of entertainment. If you are prepared to deal with the bugbears of old-school horror.